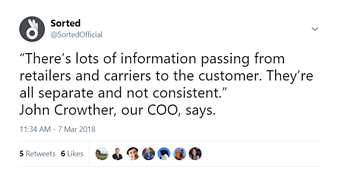 Customers should be served however they expect to be served - whether that’s bricks, apps, clicks or a mix of everything. 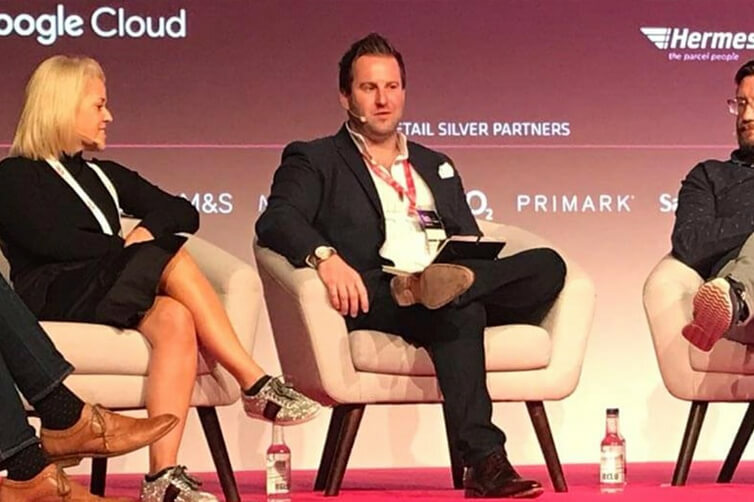 At Retail Week Live, we spoke to a panel of experts at some of the UK’s top brands to discuss the power struggle between retailers, carriers and consumers. We asked the question: what can be done to nail customer expectation management, innovate the enervated retail/delivery model and deliver delight whenever, wherever? 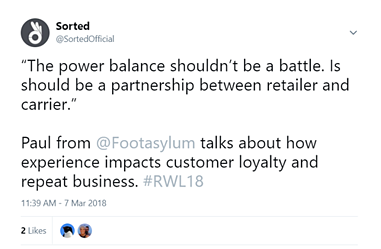 To discuss this battlefield, John Crowther (our COO) was joined by Paul Durkin (Director of Home and Ecommerce at Wincanton), Paul Rawlings (Head of Technology at Footasylum) and Ryan Walker (Senior Digital Product Owner: E-Fulfilment and Operations at Dyson). 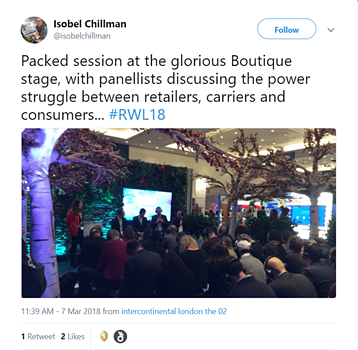 The session was chaired by Gemma Milne, a leading tech and science journalist with a deep passion for the retail industry, and took place in the beautiful Boutique stage on the first day of Live. 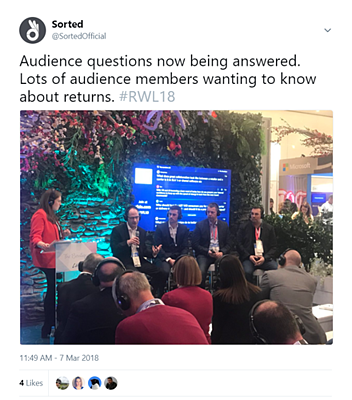 The session covered lots of burning topics within retail, sharing thoughts and predictions on the current and future state of the industry. The demand of the customer, and the rate at which these demands are changing, was undoubtedly the hottest reoccurring theme. One of the main points made in this area was the idea of communication and expectation management. With so many different points of contact, it can be a messy experience for the consumer – who essentially just wants to know when their purchase will arrive. Order summary email from the retailer, confirmation from the payment provider, order tracking emails and text updates from the carrier, live chat contact through a third party call centre on the website to solve a delivery issue, a phone call from a local courier trying to deliver the package, printed receipt and returns information in the parcel; the customer encounters multiple brands, with multiple different instructions, just for one simple delivery from a retailer. 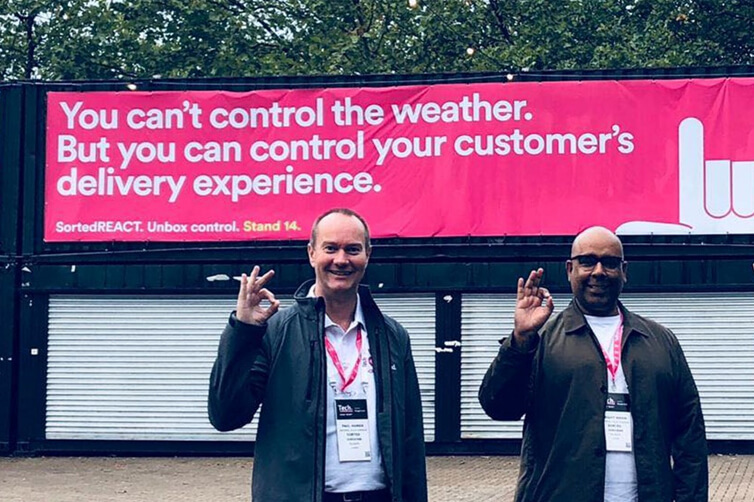 It was discussed and agreed that centralising the management of customer contact and communication would be a huge win for the retailer that aims to make customer delivery experience as delightful as possible. A key element of the standoff discussion also centred around the changing face of the physical brand presence. 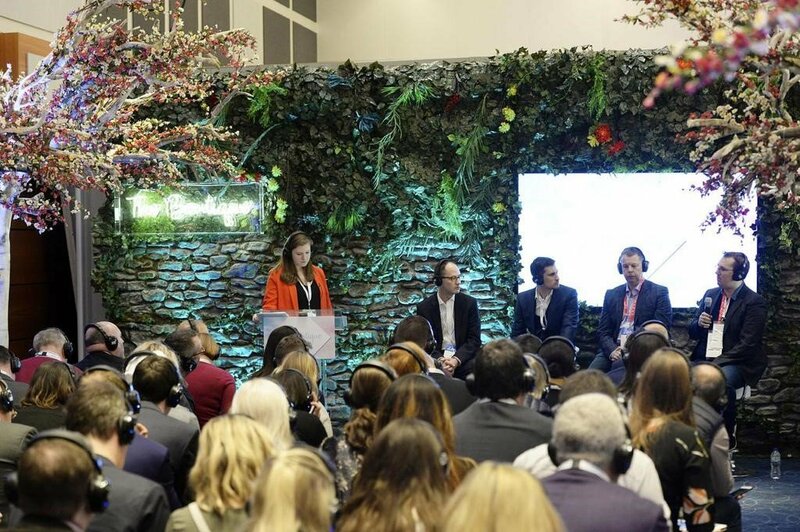 Ryan, from Dyson, pointed out that the store is an opportunity to upsell add-ons and create a whole new buying experience for a customer, rather than the traditional set-up of it being a place to buy a product and leave. This change is a trend that some innovative retailers are now adopting, with the likes of Zara and Samsung creating immersive, experiential and tech-centred show rooms on highstreets. Regardless of where the customer shops, the experience should essentially be flawless. The panellists unanimously agreed that to serve the rapidly changing demands of the customer, the key delivery players need to put aside the power struggle and work on joining the delivery dots. Panellists discussed how there’s a lack of collaboration in operational management of delivery and how third-party tech is the answer to the problem. 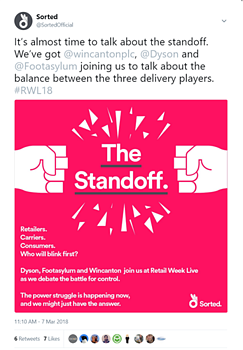 Paul, from Wincanton, argued that retailers and carriers don’t need to invest crippling amounts of time and resource into innovating their delivery propositions and operations. 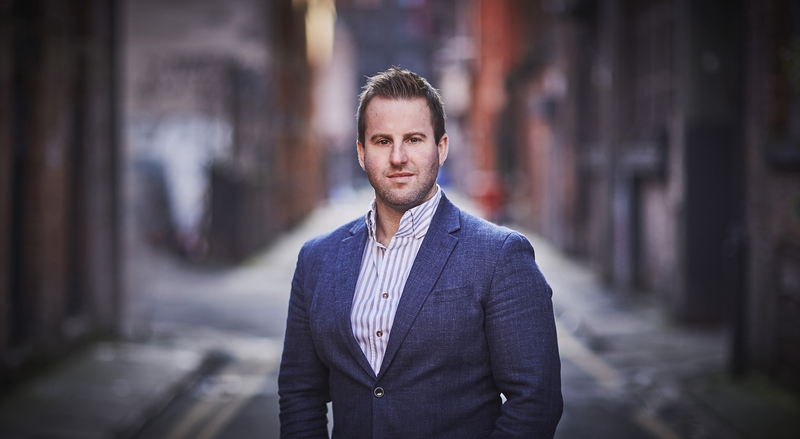 Having a system in place to centralise and combine all the necessary management – from the website, to the warehouse, to the doorstep – is something that can be done today, not in the future.